and if you are wanting to gain muscle mass, they’re pretty important. 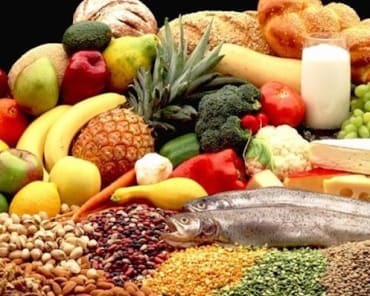 It’s extremely hard, number one, to eat enough calories a lot of times if you’re trying to gain muscle, and a lot of times your performance is going to thrive on carbohydrates. Now, things like your gut health, things like that, need to be in a good place if you’re going to consume a decent amount of carbohydrates. Also, the leaner you are, the better you’re going to use carbohydrates effectively. So you need to consider all of these factors, alright? So carbohydrates spare protein, so protein can actually do its job in actually helping you build that muscle mass. 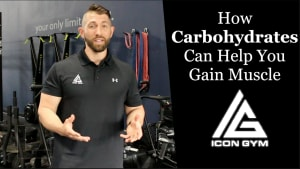 And I guarantee you, if you do consume carbohydrates and you’re trying to gain muscle mass, your numbers and your performance are going to be a lot better and your strength and stamina will probably be a lot better as well, especially if you’re training high volume: meaning high sets, high reps, and all that stuff. So, definitely don’t just cut out carbohydrates if you’re trying to gain muscle mass, but just take that into consideration and definitely include carbohydrates if your goal is to gain muscle mass. Thanks guys!